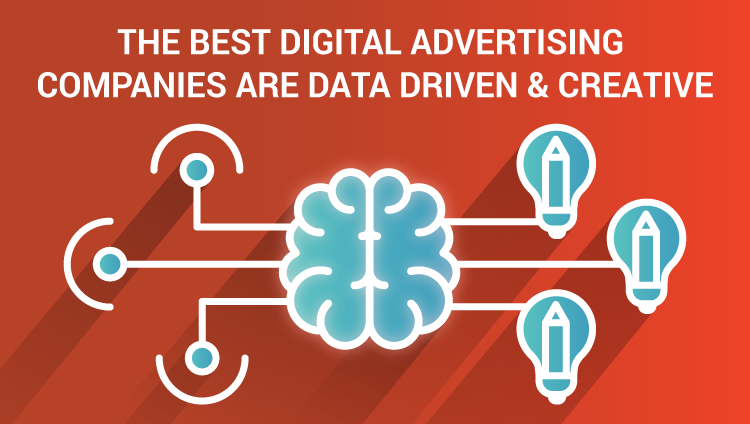 Digital advertising companies love data, but it’s not true that all digital advertising companies love data at the expense of creativity. When Nadya Powell wrote her breakup letter to the digital marketing world earlier this year, it caused something of a storm. Her view was damning. Digital advertising companies used to believe in something higher and more pure, all the creativity is dead, and all that matters now is data. So, was she right? Of course not. Digital advertising companies — like all advertising companies since the earliest days of advertising — have always been about helping brands to market themselves. Nothing’s changed in that regard. The idea that marketing used to be about something more and has somehow lost its way is a rose-tinted view of the past and a negative view of the present, based on no evidence. As for the lack of creativity and love of data, why can’t the best digital advertising companies love both creativity and data? The two go hand in hand, after all. It’s one thing to look at pages and pages of data, but it’s quite another to actually know what that data means and what to do with it. A perfect example of this is the mobile ad. With more data than ever before, the best digital advertising companies need to figure out how to sell to an increasingly mobile-heavy audience. Some digital advertising companies don’t thrive in this regard. Pushing retargeting ads onto locked screens, for example, comes across as forceful. It’s exactly the sort of thing Powell was talking about: using immense amounts of data to know what to sell, but not using an ounce of creativity when thinking about how to sell it. However, not all mobile advertising is like that, and the brave new world of mobile ads has given birth to a rush of creative ideas. CPI (cost per install) is a perfect example of this. Whereas desktop ads might have run on a (CPC) cost per click, (CPM) cost per thousand impressions, or (CPA) cost per action basis, the more creative digital advertising companies are using CPI for mobile ads. Recognising that the way people use the mobile internet is different from the desktop internet, a CPI ad focuses on pushing an app. If you have an app and you want to sell it, you can pay for ads based on exactly how many times that app is downloaded. This allows you to measure your ROI much more effectively — and it’s an idea that can’t be waved aside as uncreative. Yes, it’s an idea driven by data and yes, it’s an idea driven by ROI. However, it’s also an idea driven by a spark of creativity. Without someone putting themselves in the shoes of mobile users, no digital advertising company would have ever cooked up CPI. As well as using data to place adverts in the right places, a good digital marketing company also needs to help design ads that people will actually click on — or at least notice. That too requires creativity. Creating something that would attract people’s attention, that would give people a positive idea of that brand, that would make people want that product: all of that is much more about art than it is about science. Every writer wants to know how to combine words in a way which will make people feel something. Every artist wants to know how to combine colours and shapes in a way which will make people feel something. Marketers want the same thing. Using the visual or audio space at their disposal, they have a chance to tell a story, to put across an idea, to sell a narrative. Data can only put that ad in the right place; it’s up to the creatives to make that ad worthy of someone’s attention. 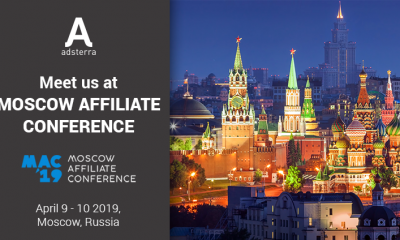 For affiliate marketing from a creative and data-driven digital advertising company, sign up to Adsterra today. With over 4,000 publishers on our network, we know how to create ads using both our hearts and our heads. ADSTERRA.COM © 2013–2018 - / All rights reserved to AD MARKET LTD.